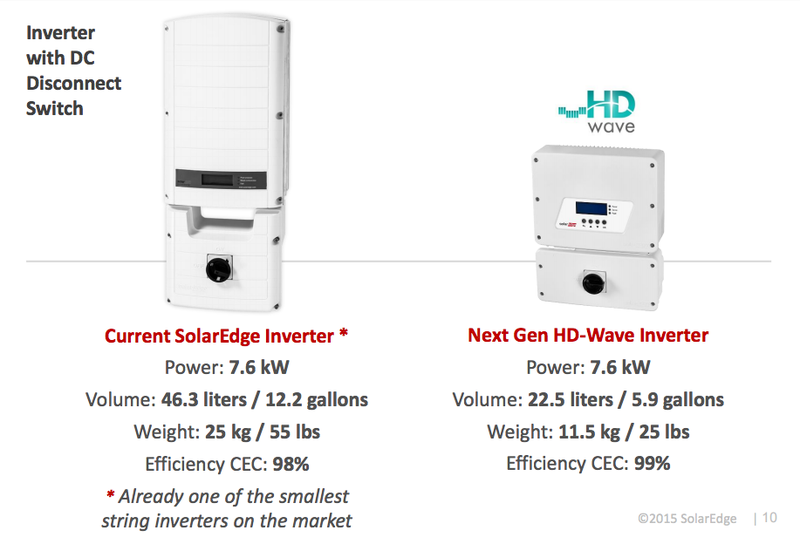 SolarEdge announced a significant upgrade to their smart inverter line this today called “HD-Wave” which will have a profound impact on the solar industry. 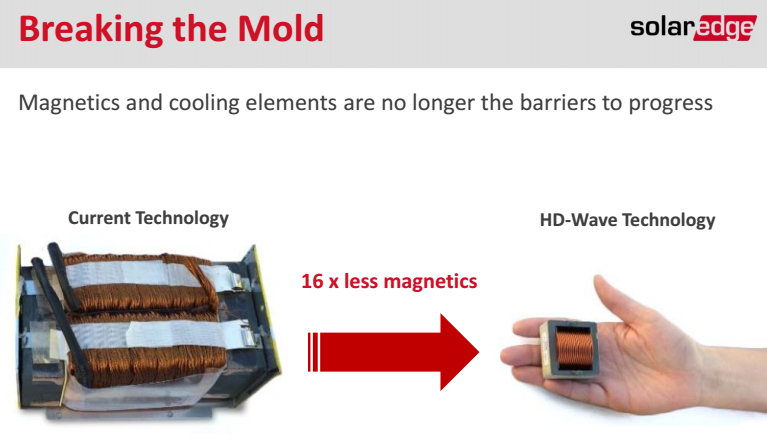 Further followup from SolarEdge yields a nice (HDWave PDF) Deck as well outlining some of the bigger upgrades. Tesla and SolarEdge are working together on implementing the Powerwall, which in itself is a bunch of batteries and electronics attached to a wall. 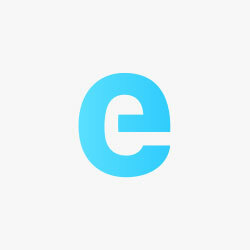 To get that battery into your home, and to get power to that battery, charge needs to come from somewhere. 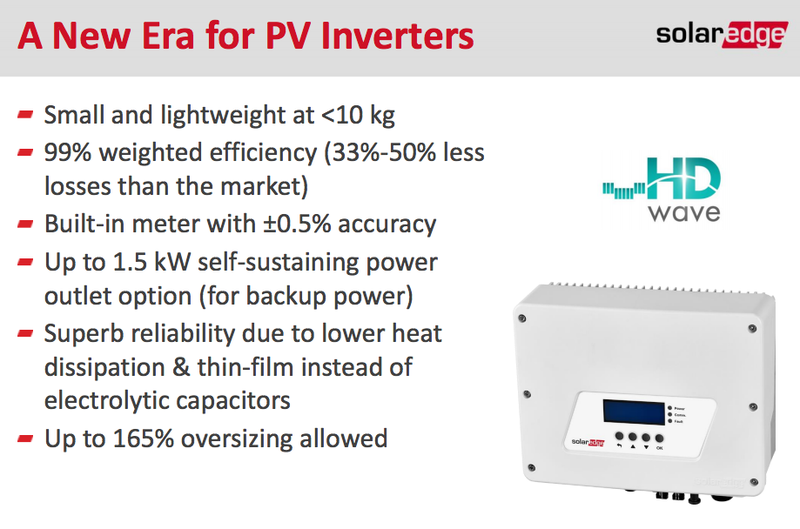 SolarEdge’s 350V Inverter seems like the perfect match there. With a 2-3x reduction in size and heat space, a whole lot less needs to be added to the Powerwall making them much more portable units. 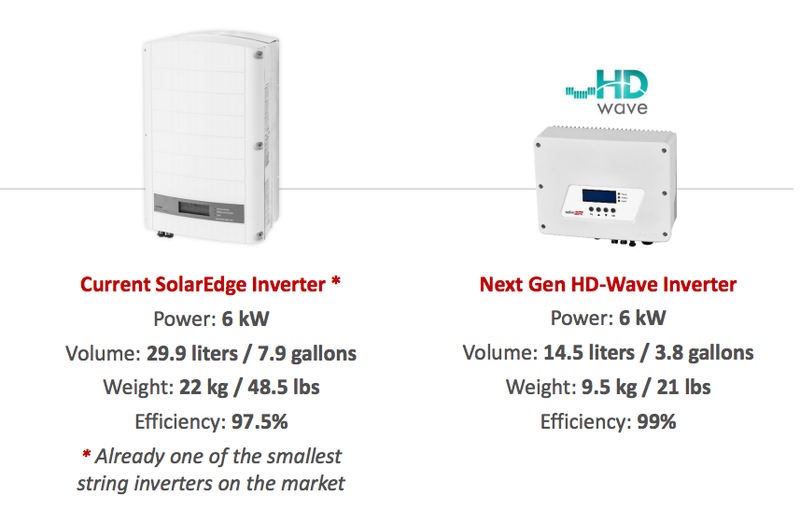 In addition SolarEdge’s HD Wave inverters have a direct power out running at 1500W (much like SMA inverters) giving direct access to solar panels during a grid down event. We’re interviewing SolarEdge’s CEO later this week and will have much more on this development.